Metalized film in sleeping pads isn’t new. The effective, compact, light solution minimizes heat loss but usually means dealing with a loud, crinkly pad. I owe apologies to tentmates awoken by the irritating noise emanating from my pad as I tossed and turned. Some pads are that noisy! But NEMO updated the ultralight, insulated Tensor sleeping pads in January. A new double layer of metalized film in a unique baffle construction quells the noise. We tested a regular-length mummy version of the Tensor (MSRP $160) during an overnight backpacking trip for this review. 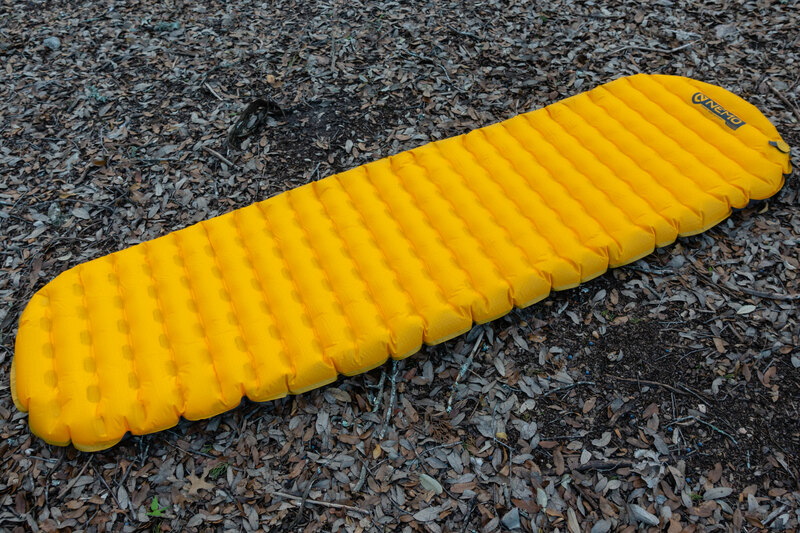 In short: The NEMO Tensor Ultralight Insulated Sleeping Pad proved to be both comfortable and warm, but the most obvious advantage was quietness. NEMO’s unique Spaceframe baffles allow suspension of two layers of an aluminized film within the air space of the pad, separating them from body movement. It provides silent nights and excellent support. The 3-inch-thick Tensor is horizontally baffled with low-stretch, die-cut trusses. NEMO spot welds these structures to the interior surfaces and to anchor the two layers of Thermal Mirror aluminized film. This method suspends the film within the air space of the pad, separating them from the top and bottom surfaces of the pad. Our mummy-shaped, regular-length sample measures 72 inches long and 20 inches wide and has a verified weight of 14.9 ounces. The 20-denier polyester fabric uses threads treated with air pressure for softness. The Tensor uses a new, two-stage, flat Laylow valve and comes with a new Vortex pump sack, Velcro strap, repair kit, and stuff sack. Upon reaching camp, I inflated the Tensor inside my tent. Like with other ultralight pads using low-denier fabrics, I was careful to avoid punctures and abrasions. The pad took 16 breaths to inflate to my preferred just-shy-of-full starting pressure. I didn’t use the Vortex pump sack this time because I don’t pack pumps when frozen condensation isn’t an issue. I found the Tensor mummy’s size and shape adequately roomy. The 3-inch thickness felt great on my shoulders (I’m a side sleeper) compared to thinner ultralight air pads I’ve used. And I immediately noticed the lack of the potato chip bag sound when rolling around on the pad. It was worlds quieter than the Therm-a-Rest NeoAir Xlite, which I’ve used extensively. Once settled in for the night, I noticed that the air-textured surface isn’t as slippery as thin nylon used on my other ultralight pads. 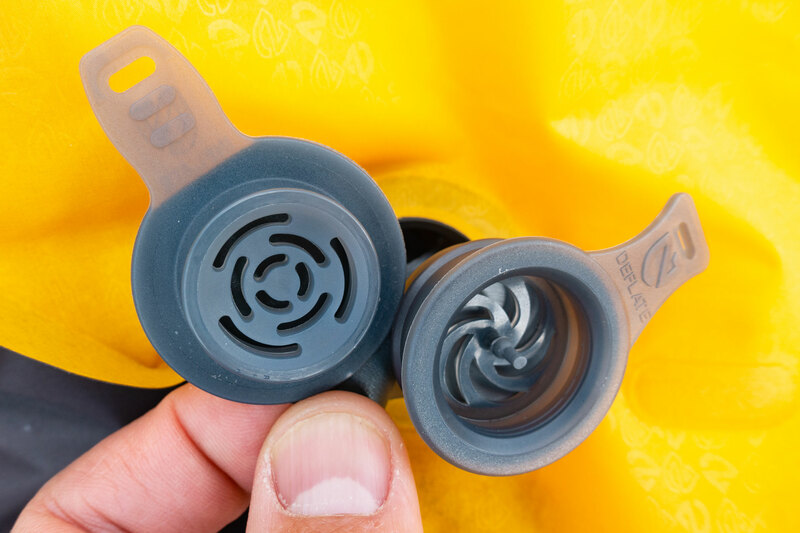 The barely perceptible soft texture also makes less sound when sliding the sleeping bag across it, further enhancing the Tensor’s quiet nature. In the middle of the night, I wanted to lower the air pressure. The zero-profile valve is a double-flap design. I forgot and just yanked on the outer tab, thinking I would expose the micro-adjustment toggle. But instead, I pulled the entire valve cap off, immediately deflating the pad. For the thick-skulled adventurer like myself, this may happen a few times before you remember the valve design. After reinflation, I easily adjusted pressure in small increments. Accessing the adjuster without deflating the pad is a two-handed operation, a slight inconvenience compared to other valve designs. The Tensor pad has a more vertically stable feel compared to some pads at roughly the same relatively high pressure that I use. This stability carried to the edges, which felt less prone to caving when nearing the edge of the pad. The overnight lows dipped into the mid-30s, and the ground was likely colder, always shaded by thick trees during an incredibly frigid winter in central Texas. NEMO doesn’t publish the R-value for the Tensor series but states a 10- to 20-degree rating for the insulated models. I slept warm with a 35-degree-rated sleeping bag and foresee no issues for the Tensor insulated pads during three-season use. The Tensor deflates almost instantly and didn’t require my usual “pre-roll” to evacuate all the air before final packing. The pad compressed down into a 3 x 8-inch package. 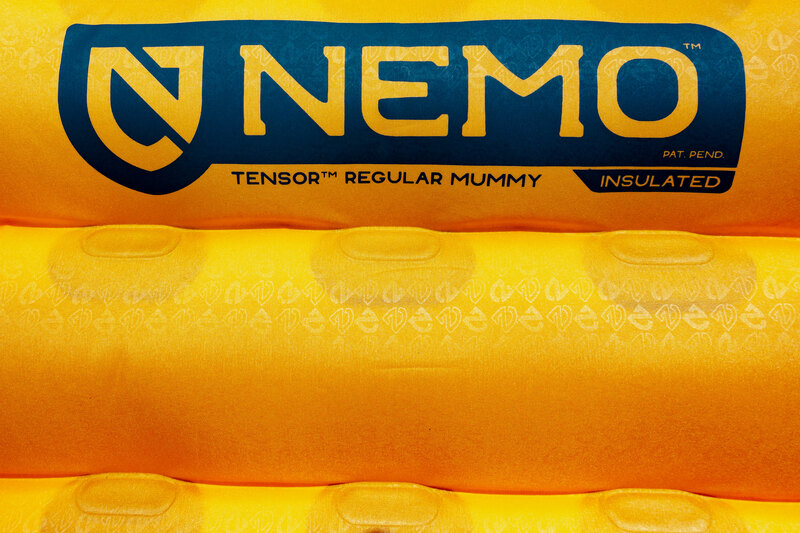 The NEMO Tensor Insulated Mummy provided comfortable and near-silent sleep during our test. Not only did the Spaceframe quiet the two layers of Thermal Mirror film, but it also created a stable feel. The texturized fabric was also quieter than others, and the pad felt plenty warm for three-season use. There are lighter and warmer air mattresses, but the NEMO Tensor rates high in the comfort versus weight category, and the quiet characteristics keep tentmates and campsite neighbors happy. The Tensor Ultralight Sleeping Pad is available in five different shapes and length configurations, and in insulated and uninsulated versions.